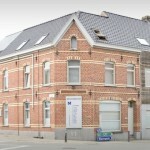 Our lawyers operate from offices in Anzegem and Bruges so as to be of better service to you. In addition, VAN MARCKE lawyers closely cooperates with a number of contact persons abroad via Lexlink, an international network of lawyers. After 23 years, VAN MARCKE ADVOCATEN remains your reliable go-to point of contact!